L.L. 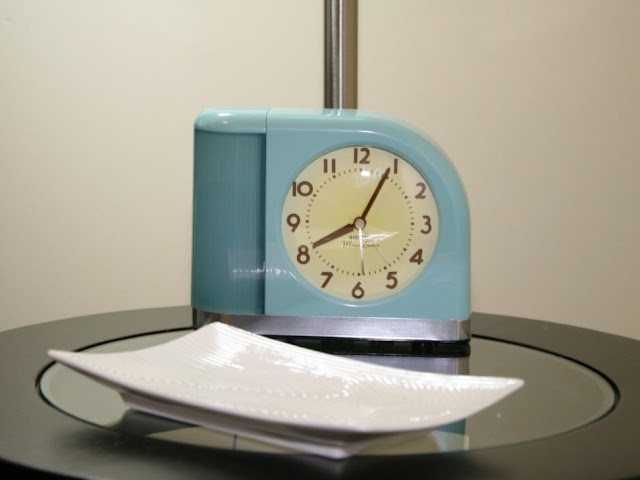 Bean has been selling this charming 1950s' style clock manufactured by Big Ben/Westclox for quite a few years now, and I own one and love it! You have the option of being awakened by the loud alarm ring, or the soft LED light (this second option, however, has failed to wake me up and if your head is turned away from the clock it's even less effective. Results may vary by sleeper.) It can be set so that just the light or alarm wakes you up, or both -- and the face has a soft backlight that can be switched on in case you need to check the time in the middle of the night. Of course, it is also has a snooze function, and runs on both electricity or two AA batteries so if you should lose power the little clock keeps on ticking. L.L. Bean currently has it available in an aqua blue or pale green; the model I have is a pastel yellow. No radio, but need one with a USB port to charge your mobile device? L.L. Bean sells a version with that option. I saw these dishes and bowls when I visited the Corningware (Corelle's parent company) outlet in Kittery, Maine a couple of months ago and if I didn't already have enough home goods previously purchased and in storage for my own house someday, I would have snatched some of these up, too. These were inspired by previous designs by Pyrex and Corelle during the 1970s, so if you want to bring a bit of that sunshiny '70s goodness into your home, check them out. My favorites are the Golden Days and Tickled Pink mixing bowls. Right now they're on sale on Corelle's website -- so as Bob Barker would say, the price is right! Despite the changes in the music industry in the past few decades, the enthusiasm for vinyl remains high. I looked at several turntables this week on Target but this one caught my attention because of the fact that it can play cassettes as well as CDs, and the reviews said the sound was remarkably nice for the price. Plus I love its old timey, 1920s radio-style look. 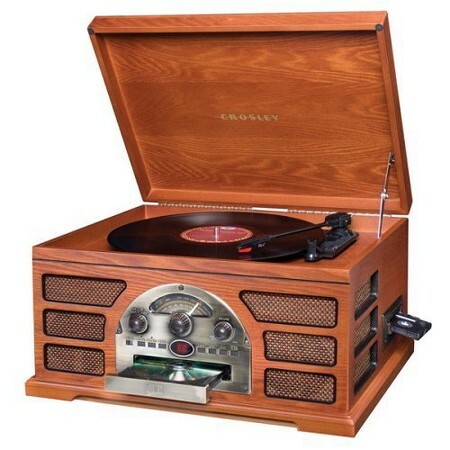 Target sells a ton of turntables by Crosley and Victrola in similar styles with various options, so if this one doesn't do it for you check out the others while the sale prices are in effect. Missing the clackity clack typing sensation of your high school or college typewriter? 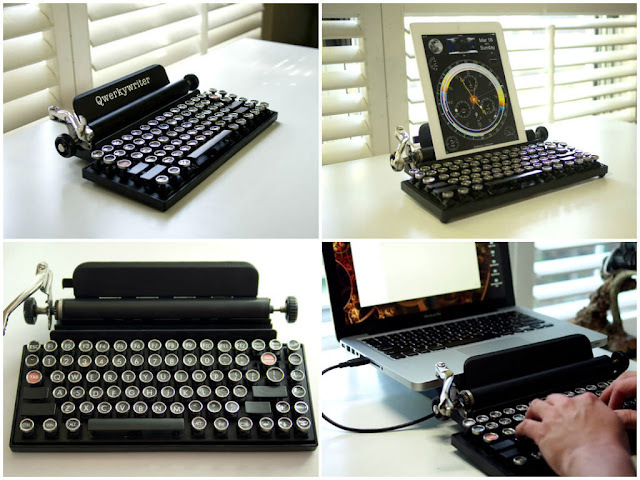 Well, the Qwerkywriter turns any mobile device or desktop computer into a vintage typewriter, without the need for whiteout or an ink ribbon. It pairs with any Bluetooth-enabled device. A little pricey, but such is the price we pay for nostalgia. I have the machine washable woven cotton top on the left; the colors are fabulous, the fit is close to the body, and will add some pop to your winter doldrums. The blouse on the right is made of rayon and probably not as cozy for this time of year, but brings back that 1970s fun nonetheless and both look great with jeans. 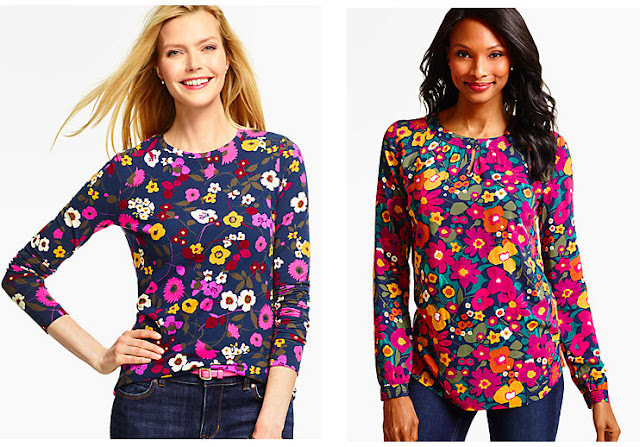 Talbots has been having online sales on various items nearly every day, and these as tops have been on sale quite a bit, I'd suggest snatching them up before they eventually sell out. 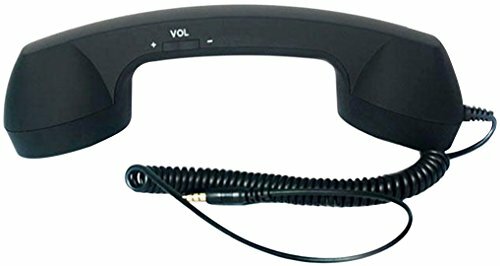 If you've gotten rid of your land line and you miss the familiar feeling of a handset, then just plug the AMC retro telephone handset receiver into your iPhone, and you'll soon be untangling the spiral cord just like the old school days. A benefit to this product according to the company is that it eliminates radiation absorption by up to 99% and reduces noise, resulting in a clearer call. 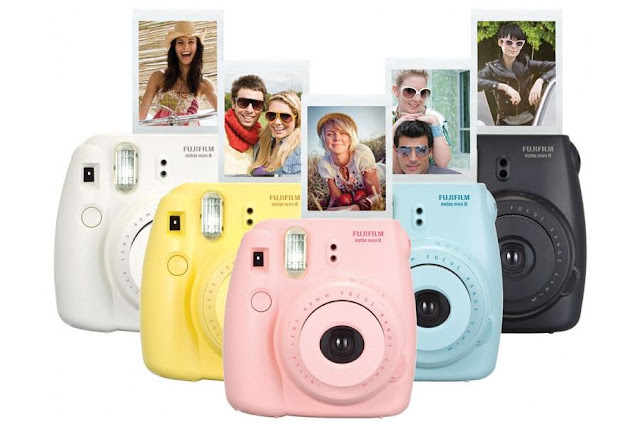 I've shown the model in classic black, but it also comes in a few fun colors just like the princess phones of the '50s and '60s. Libbey, perhaps the world's largest manufacturer of glasses, introduced several tiki designs this year of various sizes and colors. You'll have to search for them on the Libbey site, but they're also being sold through Wayfair and several other online retailers. 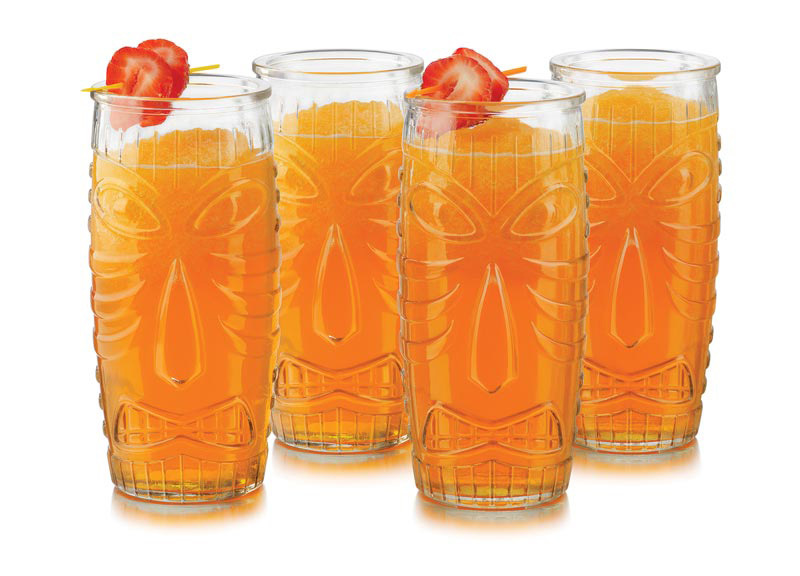 The sets are reasonably priced and sure to turn any gathering or BBQ into an early '60s tropical lounge! 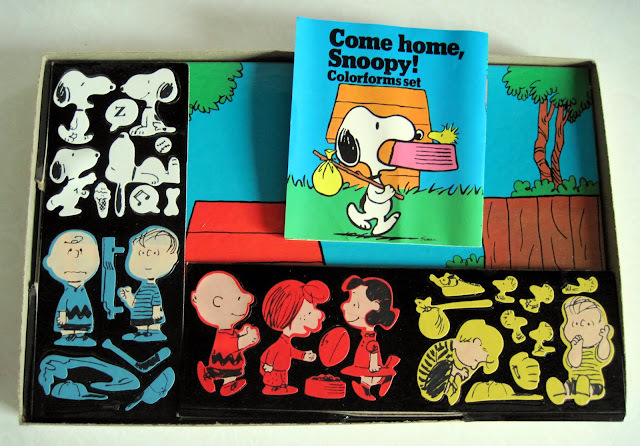 The Vermont Country Store has oodles of retro goodies and a selection of Peanuts merchandise including PJs and flannel sheets, but it was the classic Colorforms set that caught my eye; pure nostalgia from my childhood. For some reason I just loved these place on/peel off character sets as a kid. If you want to introduce your own children to something simple to play with that just requires imagination or you want to play around with them yourself, check the Vermont Country Store out; otherwise, you'll have to find a used Colorforms on eBay. 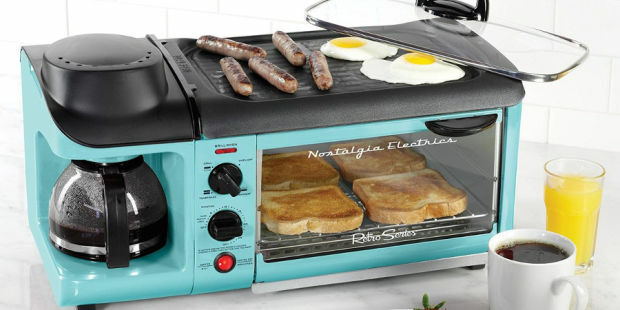 I recently discovered Nostalgia Electronics and fell so much in love with everything they make that I was hard pressed to pick just one item for this gift guide, but I think this 3-in-1 breakfast station is a knock out. Make toast, brew up to 4 cups of coffee, and grill up some pancakes or eggs at the same time for the fam with this nifty looking gadget. The grill plate and oven rack remove for easy cleaning, and the whole thing is just so plain cool to look at. Here's the part of the post where I wish I could be like Ellen or Oprah and say I'm doing a giveaway of all ten items to one lucky reader but alas, I'm not that big of a blogger (yet.) Next year, kids. 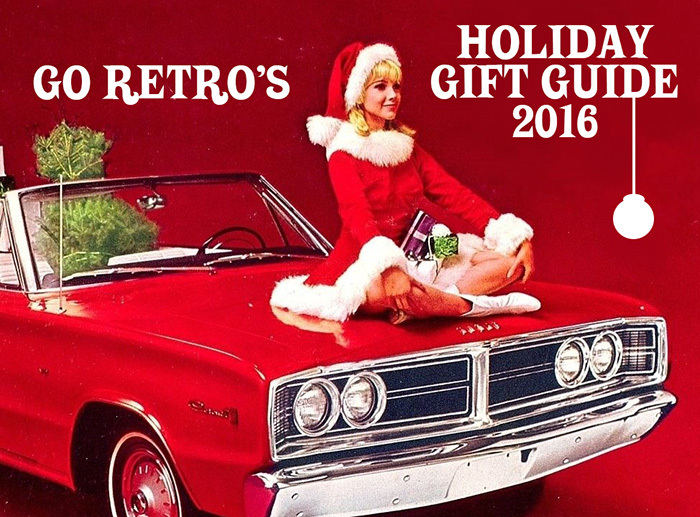 In the meantime, maybe this has helped with some ideas on Santa's list. I'd like to have that entertainment center, even though I have only a half-dozen records or so that are over thirty years old. The thing just looks so darn cool!